The penultimate round of the Premier Squash League was a tense affair for many of the twelve teams, with three Division A clubs having chances of making the playoffs, four Division B clubs all within six points of each other, while some were aiming to avoid finishing bottom which could see them replaced next season. Well why not kick back over Easter and watch the squash on Sky. They are covering the North American Open this weekend on the 31st March and the 1st April (no joke!). And don’t forget the clocks change on Sunday, if you’re getting up to watch it! Round 2 of the 2010 Premier Squash League (PSL) last night saw a shock 4-1 defeat for current champions ‘Surrey Health & Rackets’ at the hands of ‘Exeter Diamonds’. But neither side were able to top the B group (south) as ‘TWP St Georges Hill’ (led by PSA No.13 Daryl Selby and WISPA No.9 Laura Massaro) beat ‘UWE Bristol’ to clinch No.1 spot in the table by just 1 point to Exeter. In group ‘A’ (north-ish) Esporta Oxford, led by Chris Ryder PSA No.36 and Madeline Perry WISPA No. 6, top the group as they won 5-0 against Nottingham. However ‘Chappel Allerton’ went straight into 2nd= place (led by Alistair Walker PSA No.20 and Jenny Duncalf WISPA No.2) as they started their campaign off with a 5-0 win against Pontefract (who have Simon Parke, Lee Beachill and Vanessa Atkinson). What a league that is! To see all Round 2 results chick here. Harrow’s Alan Clyne was part of the PSL (Premier Squash League’s) winning team last week as he beat Scott Handley in 5 games to take his team (Surrey H&R) to a 3-2 win against Esporta Oxford. Alan, who is now at an all time high of No.62 in the PSA World Rankings, came from 7-10 (match point) down in the 5th against a very experienced opponent in Scott Handley and said afterwards that “I though it was going to be tough, but I didn’t want it to be that tough!”. Congratulations to Alan on another milestone in his career. If you’d like to see more details of the final please click here. 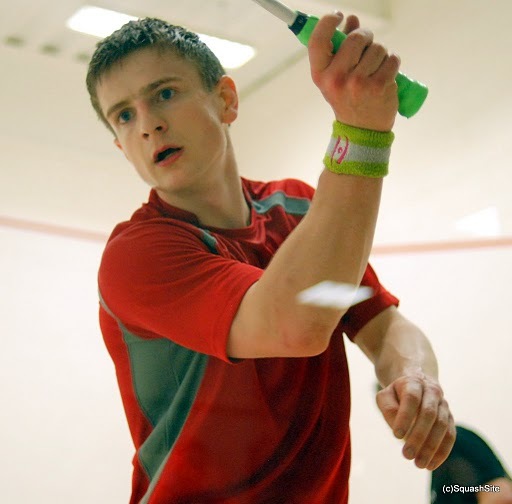 Tuesday night saw Harrow’s Alan Clyne playing for Surrey H&R as he joined many other of world’s best squash players compete in the Premier Squash League south of the border. 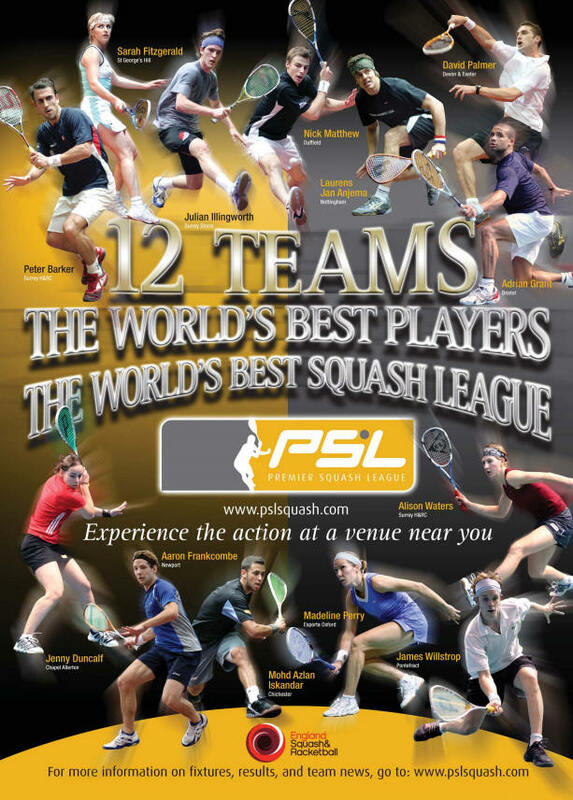 20 of the worlds top 30 players were on show including Nick Matthew, James Willstrop, Peter Barker, Adrian Grant, Daryl Selby, Alison Waters and Jenny Duncalf in what must be the best squash league in the world.